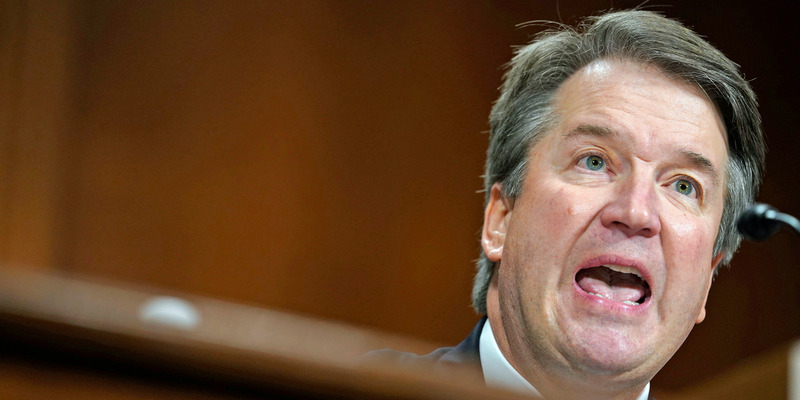 Brett Kavanaugh declared, “I am an independent, impartial judge” in an opinion column published by The Wall Street Journal on Thursday. The column is an answer to heightened concerns about an emotional outburst he had while testifying to the Senate Judiciary Committee last week in defence of sexual misconduct allegations leveled against him by Christine Blasey Ford and two other women. Kavanaugh’s remarks have invited additional scrutiny over whether or not he can act objectively as a Supreme Court justice, if confirmed. Ford said Kavanaugh sexually assaulted her at a high-school party in the 1980s. Kavanaugh denies that claim. Those remarks raised red flags among Democrats and Republicans who viewed the Supreme Court nominee as having outed himself as a partisan. Critics have rejected Kavanaugh’s rationale because he told lawmakers that he wrote the remarks he recited in front of them on September 27. They were not part of an unscripted outburst. As of late Thursday, some key senators were mum about whether or not they would vote in favour of Kavanaugh. A key procedural vote is scheduled for Friday morning. A final confirmation vote is expected on Saturday.